Brought to you in collaboration with Avery. With a passion for being creative with paper and embellishments, I have always opted for the DIY option for things such as cards, invitations and tags over store purchased versions. There is something so much more satisfying about being able to create your own versions from hand and see the appreciation on the face of the receiver. These days, like my scrapbooking process moving towards digital project life, I also enjoy the benefits of utilising digital tools for my other ventures at times also. It is not only a fun way of getting creative with the computer to create a whole different look, but can also be a fantastic time saver. Avery have been well known for their range of labels and office supplies for a long time, however they also have a fabulous range of products that are perfect for styling your next event or occasion, from gift tags to place cards, labels and invitations. The Celebrate With Avery range of products can simplify your creative process. While the Avery events and celebrations products can be used as a base for traditional DIY projects, getting messy with paper and glue, much like I did for my own wedding several years ago. However as a unique and exciting bonus, they also have a free online software to allow you to create custom printable designs that work directly with their products. The result – a quick, easy and sleek process that you will love! I was lucky enough to have a play with some Avery gift tags, using their free online software and managed to make several pages of custom gift tags in under half an hour, designed and printed, ready to use. The software is very user friendly and gives you the option of customising the whole sheet of tags at once, or each tag individually, which makes them great for special events or gifts, with the ability to add individual names or details to each tag. The colour combos are endless, as are the patterns really so you can experiment and have a bit of fun. And you may want to add a little extra bling or embellishing if you so please, like I did with one of the Mother’s Day tags, by adding a simple stick on rhinestone. 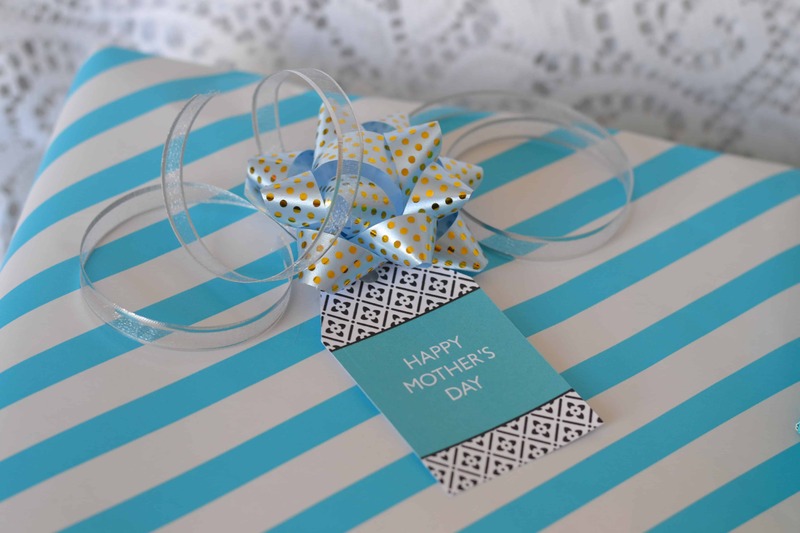 Otherwise ribbons, bows and other gift wrapping add ons are a great way to style them up. A great option come Christmas time, instead of the sometimes frustrating hand written versions most of us use out of a packet. So if you are planning a special event soon, or simply want a way to streamline your gift giving process through quick and easy customised labels as I have done, check out the Celebrate With Avery range of products and create your own quick and easy custom printables in a flash. And that’s not all. To promote their fantastic new Celebrate with Avery range of products, Avery are holding a competition on Pinterest for your chance to win an exciting prize pack that includes Avery products as well as a $200 Westfield Shopping Centre gift card, just by following their competition board and Pinterest page. Simple! *Post sponsored by Avery. All opinions and photos included in this post are my own (with exception of competition poster). For more information on sponsored posts, please see the disclosure policy on my Work with Me page. Hi, Holly! I just wanted to come by and let you know that we loved this post SO MUCH when you linked it up at the #HomeMattersParty that we’ve featured it THIS week! Would love for you to come by and check it out! http://theroadtodomestication.com/2015/06/05/home-matters-linky-party-40/ Happy Friday!! !